This document is intended to help users set up the software environment for the development of audio applications using hardware based on the ESP32 by Espressif. Through a simple example, we would like to illustrate how to use ESP-ADF (Espressif Audio Development Framework). 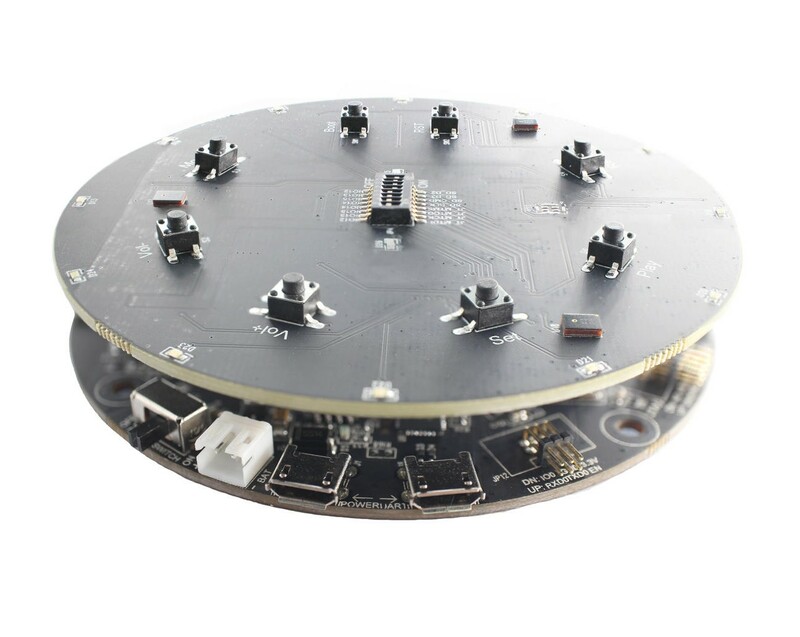 To make the start with ESP-ADF quicker, Espressif designed development boards intended to build audio applications with the ESP32. Click the links below to get started. If you do not have one of the above boards, you can still use ESP-ADF for the ESP32 based audio applications. 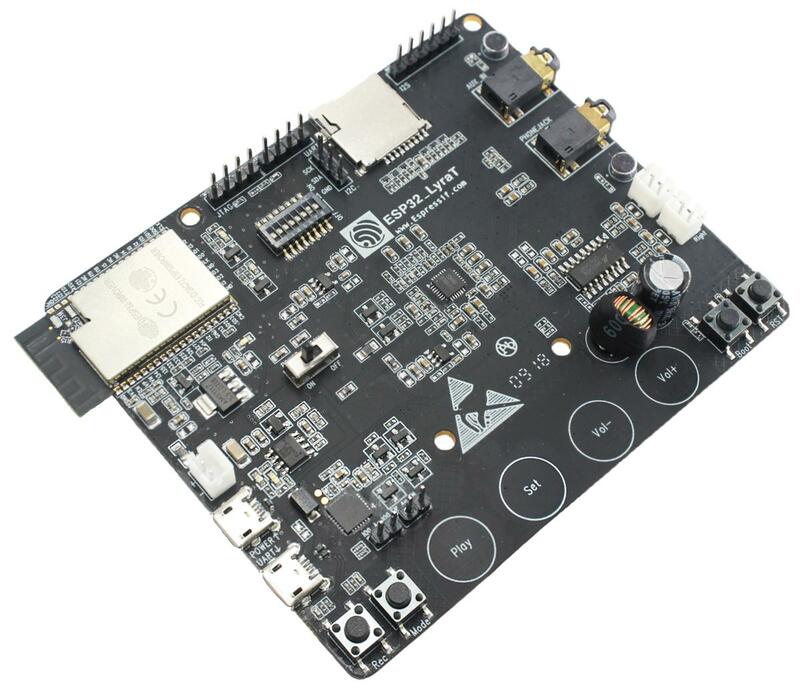 This is providing your board has a compatible audio codec or DSP chip, or you develop a driver to support communication with your specific chip. The ESP-ADF is available as a set of components to extend the functionality already delivered by the ESP-IDF (Espressif IoT Development Framework). To use ESP-ADF you need set up the ESP-IDF first, and this is described in the next section. Configure your PC according to ESP32 Documentation. Windows, Linux and Mac OS operating systems are supported. You have a choice to compile and upload code to the ESP32 by command line with make or using Eclipse IDE. We are using ~/esp directory to install the toolchain, ESP-IDF, ESP-ADF and sample applications. You can use a different directory, but need to adjust respective commands. To make the installation easier and less prone to errors, use the ~/esp default directory for the installation. Once you get through ESP-IDF setup and move to the ESP-ADF, you will notice that installation of the ESP-ADF follows the similar process. This should make it even easier to get up and running with the ESP-ADF. If this is your first exposure to the ESP32 and ESP-IDF, then it is recommended to get familiar with hello_world and blink examples first. Once you can build, upload and run these two examples, then you are ready to proceed to the next section. ESP-ADF will be downloaded into ~/esp/esp-adf. The toolchain programs access ESP-ADF using ADF_PATH environment variable. This variable should be set up on your PC, otherwise the projects will not build. The process to set it up is analogous to setting up the IDF_PATH variable, please see instructions in ESP-IDF documentation under Add IDF_PATH to User Profile. After initial preparation you are ready to build the first audio application for the ESP32. The process has already been described in ESP-IDF documentation. Now we would like to discuss again the key steps and show how the toolchain is able to access the ESP-ADF components by using the ADF_PATH variable. ESP-ADF is based on a specific release of the ESP-IDF. You will see this release cloned with ESP-ADF as a subdirectory, or more specifically as a submodule e.g. esp-idf @ ca3faa61 visible on the GitHub. Just follow this instruction and the build scripts will automatically reach ESP-IDF from the submodule. To demonstrate how to build an application, we will use get-started/play_mp3 project from examples directory in the ADF. You can also find a range of example projects under the examples directory in the ESP-ADF repository. These example project directories can be copied in the same way as presented above, to begin your own projects. Connect the audio ESP32 board to the PC, check under what serial port the board is visible and verify, if serial communication works as described in ESP-IDF Documentation. This will build the application including ESP-IDF / ESP-ADF components, upload (flash) binaries to your ESP32 board and start the monitor. Without the upload mode enabled, after showing several ....._____, the connection will eventually time out. If there are no issues, besides the above log, you should hear a sound played for about 7 seconds by the speakers or headphones connected to your audio board. Reset the board to hear it again if required. The second line contains $ADF_PATH to point the toolchain to the ESP-ADF. You need similar Makefile in your own applications developed with the ESP-ADF. After some time of using ESP-ADF, you may want to update it to take advantage of new features or bug fixes. The simplest way to do so is by deleting existing esp-adf folder and cloning it again, which is same as when doing initial installation described in sections Get ESP-ADF. The git pull command is fetching and merging changes from ESP-ADF repository on GitHub. Then git submodule update --init --recursive is updating existing submodules or getting a fresh copy of new ones. On GitHub the submodules are represented as links to other repositories and require this additional command to get them onto your PC. © Copyright 2017 - 2018, Espressif Revision d8052c66.